One of the hardest concepts for me to grasp as a first-time homeschooling parent was what homeschool was supposed to look like. As a product of the public school system, it was ingrained in my mind that school had to have a set schedule, with regular hours and a curriculum that couldn’t be wavered from. Can you relate? Let me show you what a typical homeschooling day looks like in our home. I highly suggest reading more about public schooling versus how kids really learn in this book! So when we decided last year to start homeschooling our son, one of the biggest things I had to overcome in my mind is that homeschooling is not and should not be public schooling. The thought that kids will only learn because they are forced to, or that you have to be a licensed teacher to be successful, are construed myths that we have unfortunately bought into as a society. 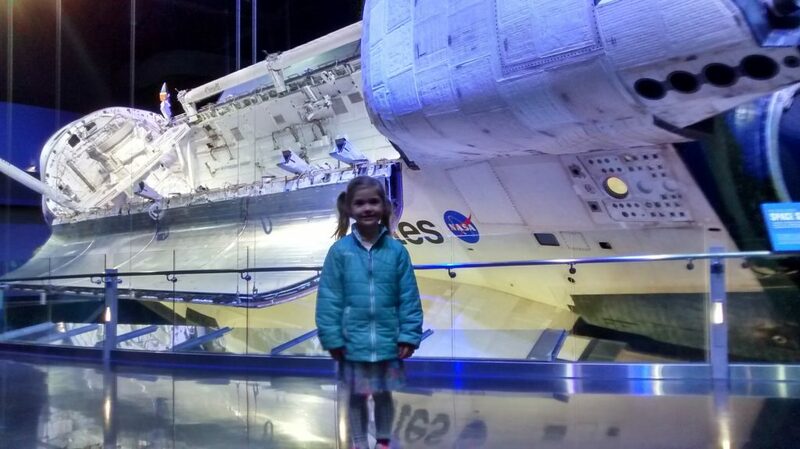 Kids naturally want to learn. And they will! So, before I go any further, get the thought that homeschooling has to look like public school out of your head! With that said, let me walk you through a day in the life of homeschooling! First off, let me preface this by saying we really don’t follow a set schedule. Again, this is a really hard thing for us public-schooled people to grasp. But trust me, it works. Even if you have chosen a curriculum that is very structured, go into your day being flexible, and look for opportunities to learn off-the-cuff. I have found in our one year of homeschooling that some of the best learning that happens is completely unplanned. The kids get to sleep as much as they need to. E gets up around 7:30. He eats his oatmeal, feeds his fish, gets dressed, brushes his teeth, and can play nintendo until his sister wakes up. A gets up around 8:30. She’s slow to get going in the morning. By the time she’s up and ready, having eaten breakfast and dressed, it’s after nine. We started our day today by reading together. This particular Monday, we read “The Rag Coat“. As we read, I had the kids pay attention to the facial expressions of the characters. When we finished the book, we played a game and tried to guess what the different characters were feeling at the time. We also tried drawing our own facial expressions and guessing what each other had drawn. Inspired by the quilting and sewing that took place in the book, we decided to try to make our own small quilt blocks. 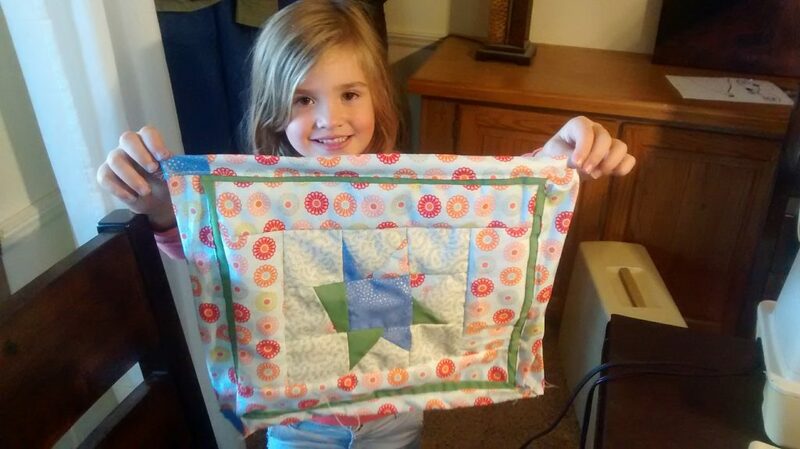 We went to YouTube and looked up a tutorial on how to make a quilt. We learned how to measure and cut the pieces, pattern and color selection, sewing technique, and more. 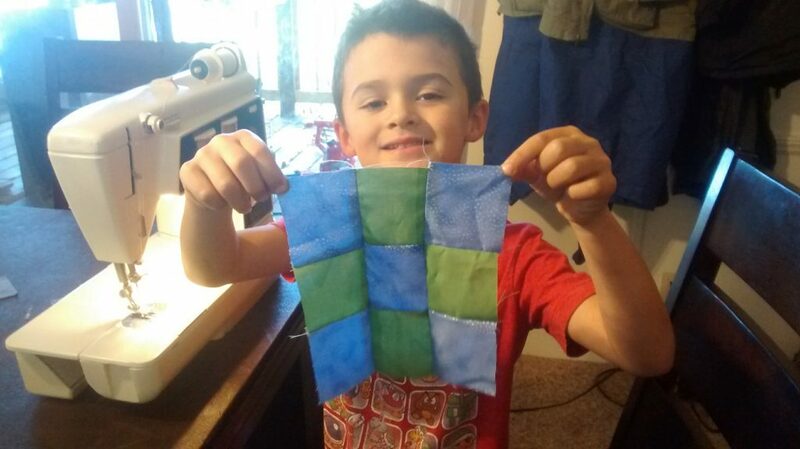 The kids each picked their own pattern they wanted to sew, and what colors and patterns they wanted. We learned about the parts of a sewing machine, and safety. The kids absolutely loved it! E decided he wanted to make his quilt block into an oven mitt, and A wanted a little blanket for her dolls. They would push the sewing pedal and I’d help guide the material. We worked on this well into the afternoon. That evening, we went grocery shopping as a family. Any time we are out in public doing “real life” things, the kids are learning. Grocery shopping learning includes; prices, healthy foods, patience and kindness with strangers. We read “The Rag Coat” a second time, and afterwards we talked about where and when the story took place. We learned the setting was in the Appalachian mountains. 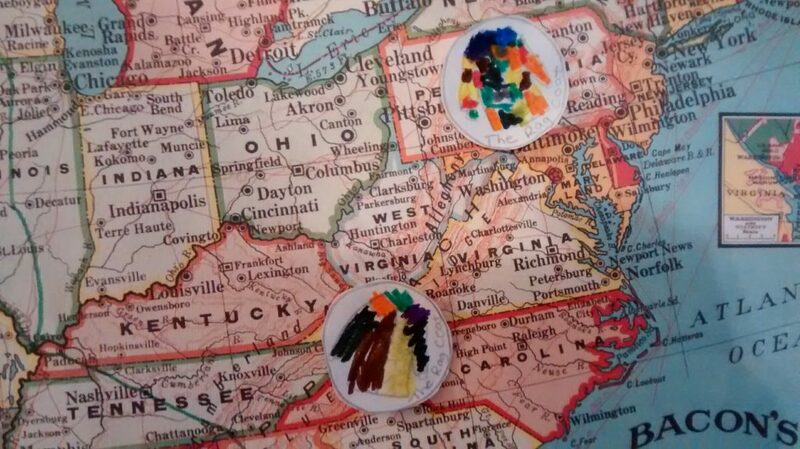 We located the Appalachian mountains on the map, colored our own “rag coats”, and placed them on the map. We also took this time to talk about North, South, East and West, and what direction the mountains are from Minnesota. We used illustrations in the book to clue us in on Appalachian culture and the time frame in which the story took place. There is a dulcimer in one of the illustrations. We looked up on YouTube to see how someone places a dulcimer and what it sounds like. We also noticed a butter churner in the story. The kids were amazed how people used to churn butter by hand, all day long! 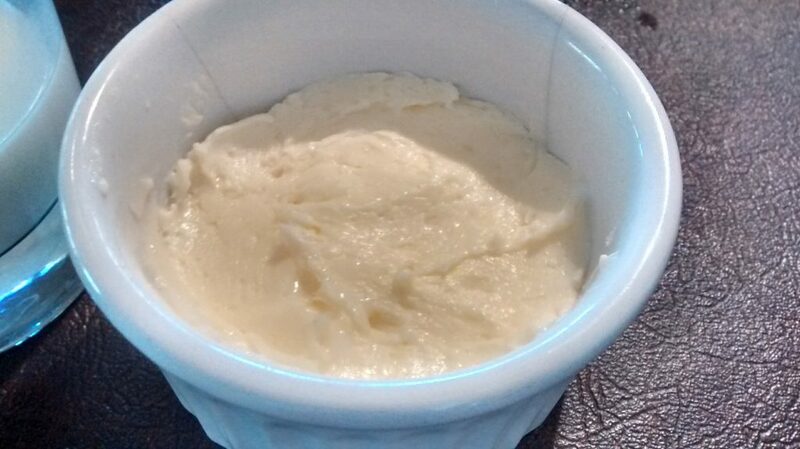 We looked up more videos on how they made it, and then we decided to make our own by shaking heavy cream in a mason jar for several minutes. The kids thought it was magic! And to be honest, I kind of did too. After lunch we worked in our workbooks. This is as close as we get to doing conventional school. E has one for first grade, A has one for Kindergarten. They enjoy working in them, although I’d say most of our learning (and the best learning) definitely takes place outside of the workbooks. And we only do a page or two at a time. Being it was a beautiful, warm fall day, we spent the majority of the morning outside. 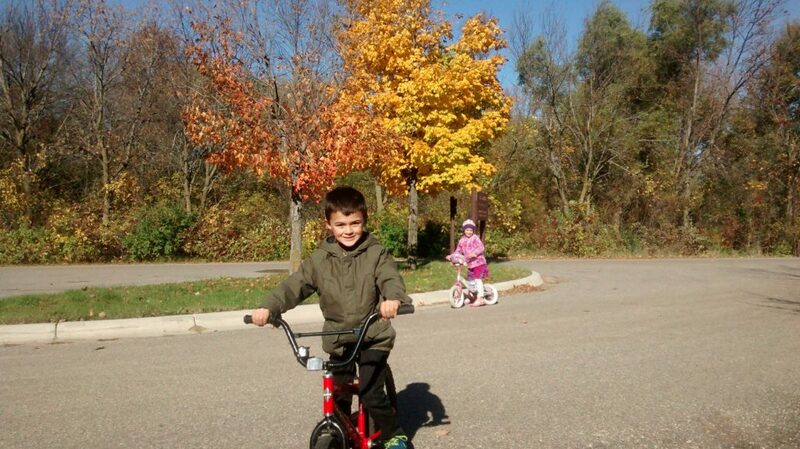 We took a long bike ride down to the public access on the lake we live on. We are lucky to have a lot of nice bike trails around us. We took our time. We talked about fall, the change of seasons, the changing leaves, and how the days change. We looked at the plants along the road. We tried to find good skipping rocks and threw them into the lake. The kids were fascinated by a dead fish. We read the signs at the boat landing. When we got back home, after a nice cup of hot chocolate, I had the kids each get their calendars from their rooms. We went over the months of the year, how to find how many days are in one month, how to find special days and holidays, and how to keep track of what day it is. We read “Frog and Toad are Friends“, which the kids had picked out at the library last week. They thought the stories were so funny! In the evening they went to their class at church and learned about King Solomon. I read the “The Rag Coat” again while the kids ate breakfast. We started talking about coal mines, so I pulled up a documentary from the History Channel. E was especially fascinated by the machinery that is used today, and the extreme shafts and tunnels that the miners make. We also learned about what miners over one-hundred years ago used to mine, and the dangers that they faced in a daily basis; methane gas explosions, oxygen depletion (and the canary test), cave-ins. Surprisingly, A was very interested in it as well. 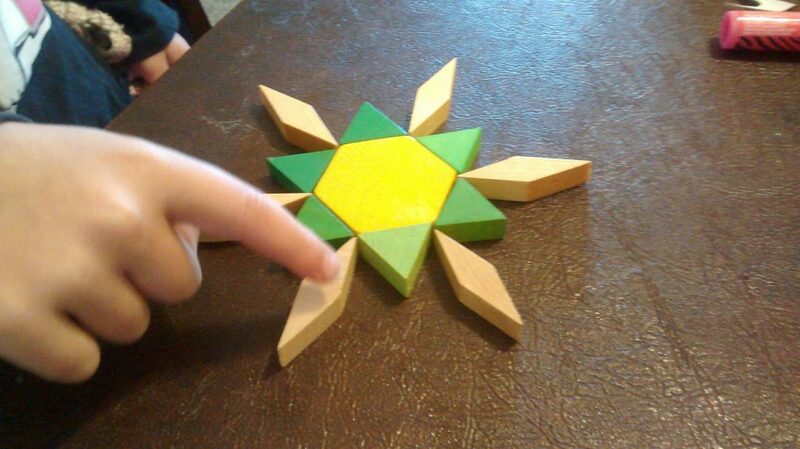 We had some creative play with blocks. We went over what the different shapes were called, and how many sides they have. The kids made their own patterns. E played with dominoes. In the afternoon we went to Grandpa and Grandma’s. 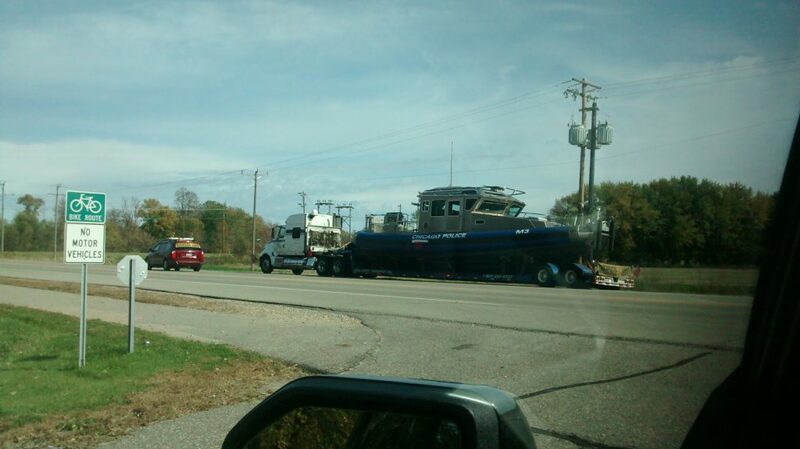 On the way there, we saw a strange sight…a Chicago Police Department boat…in Minnesota! We all talked about what reasons that there might be a boat up here from Chicago. We also stopped by the library. A picked out a book on dog breeds and a Christmas craft book. The kids also helped me pick out a Pastor Appreciation card for our pastor at the store. These are all learning experiences! It was a cold, breezy, fall day! We snuggled up on the coach and read “Life of Fred: Blue” and “Life of Fred: Apples” for the first time. E thought the books were hilarious, which was great. He didn’t even realize he was learning while we read them because of the humor. We went to the table and answered the puzzles so we can move on to Chapter 2 at a later date. After “Life of Fred”, I decided to show the kids on the world map where Cambodia was, as their Grandma was leaving for Cambodia that very morning! We talked about how she was going to get there, and how long it was going to take. We talked about how there are airports all over the world. We ended up watching a documentary on Cambodia so the kids could see what it is like there. They are very excited about the fact that Grandma might ride an elephant, or go to a foot spa where fish nibble your feet clean! Before lunch, the kids wanted to look through the dog breed book that A picked out at the library yesterday. They were amazed that dogs can be used as guides for the blind, and that dogs are born blind themselves! In the afternoon we suited up in our winter gear and went for a bike ride. The kids were getting really antsy and I knew they needed to get out and get some fresh air. We spoke with a fisherman while on our walk. We watched Daddy trim trees with his chainsaw when we got back. The rest of the afternoon involved hot chocolate and Nintendo! And the evening a spontaneous bonfire with friends. (Yes, our kids have a great social life and real friends!) Happy Friday! So there it is! 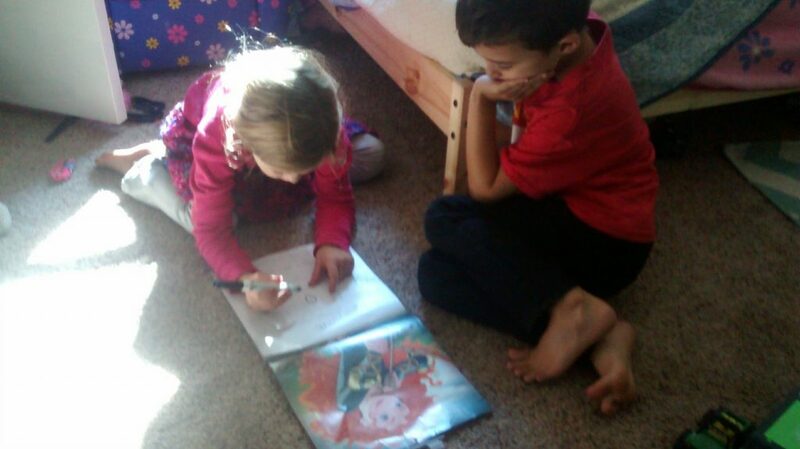 A genuine sneak peek at what any given day of homeschooling can look like! As you can see, homeschooling involves a lot of flexibility, at least in our home. Every day is a little different. We read. We play. We explore. When the kids ask questions about something, we are lucky to have oceans of information at our fingertips on the internet. We YouTube documentaries and “how-to” a lot. We take a subject as deep as the kids are willing to go. We read. We play. We explore. When the kids are getting bored with something, that’s my cue that we need to move on and come back to it later. It’s my job as the parent to instill a love of learning in my kids, not to force them to do something that is frustrating them to tears. This is why I have chosen to have a curriculum and style of homeschooling that is very flexible. I want to be able to bend what needs to be taught into a way that works well with our specific family and my children’s unique personalities, and to teach it on our schedule. In all reality, our schedule is “there is no schedule!” Learning happens at the grocery store, the library and the books we bring home, church, Grandpa and Grandma’s, outside playing in the dirt, at the lake…the list goes on! One of the most impacting books I’ve read about a child’s natural tendency to learn is “Home Grown” by Ben Hewitt. I highly suggest it if you need help getting over the mentality that education needs to be modeled like a strict, public school program. Kids aren’t dumb. There is no reason to wait until 6th grade to learn about ancient Egypt if your Kindergartner is showing interest. And there is no reason to force learning about the solar system if your first grader is more interested in raking leaves and whittling with a carving knife. Because the day will come when they are interested! Every child is unique, and on their own learning path. You are there to guide them, not to force them. You will have a happier, healthier child who loves to learn because of it! Don’t be turned off by the cover! This is a curriculum for parents who want some direction for their homeschooling, but not become a slave to it! If you are like me, and want a lot of flexibility in your homeschool, but also want something to help guide you on a weekly basis so you aren’t waking up Monday morning with no plan whatsoever to spark your kids’ interest, I recommend Five-in-a-Row curriculum. In a nutshell, your learning will stem from different themes from a new book that you read to your child every week. The author gives direction for different activities based on the book you are reading for that week which will introduce math, language, art, history, geography, and more to your child. And if you are a person who feels like you need an ultra-structured environment and curriculum, that is okay too. You need to do what will work for you and your family! Just know that there other ways of approaching education! I hope I have been of help to you in giving you an idea of what homeschooling can look like for your family. This really is just scratching the surface. Some of our best education has taken place without cracking a book! Like our road trip to Florida last year! When most kids are in school, our kids were able to take a two week road trip! So be encouraged! Take one day, and one moment at a time. Learning never stops, and the best education you can teach your kids is to love learning! Have questions? Don’t hesitate to reach out to me! I am more than happy to help you on your homeschooling journey! This is fantastic.. I’m in our second year of homeschooling. I have 4 girls and they all are doing so much better now they are out of the school system. Your site is very helpful. It is pretty much what I have been doing with mine. Other parents I know are very structured with theirs and to finally read that someone is doing it like me is helpful. I would worry alot about are they learning and I tried doing the whole public school aspect of it but my girls would just fight it and cry. So now, I just let them chose what they want to do. My 4 yr old who I want really teaching, but she would suit there with her sisters one day stayed doing a math book I had for her sister. She even got then all correct!! So happy that this is literally out the best thing I have ever done for them . I got shot if great ideas from this thank you. Oh and my 20 mo. Old is already trying to say her alphabet and can write and recognize an O… Her name is Olivia!!! Hi Tiffany! Thanks for sharing your story! It’s so fun to hear another person’s success with homeschooling in their family. Wishing you the best on your journey!